There's a new trailer for the CE-Asia-published Banner of the Maid, which we just had to share, because it looks awesome. This trailer was debuted at ChinaJoy 2018, a games expo held in China (funny that), so it's all in one of the Chinese languages (sorry, I can never tell the difference between Mandarin and Cantonese). But you'll get a great sense for how it will play anyway. 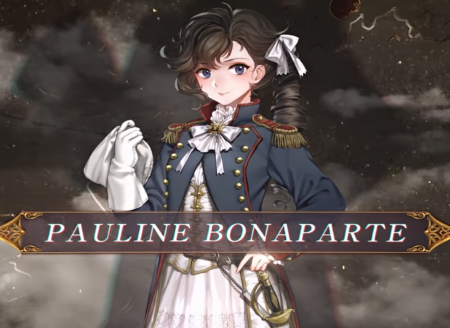 The game is set during the French Revolution - so Napoleon and such - but rather than focus on the exploits of the little man, you're instead going to play as his sister, Pauline Bonaparte. Which is a great excuse to give us plenty of anime goodness. The game itself is a tactics RPG that has a lovely art style, and we're always up for more of that. The game is set for release on PlayStation 4, Nintendo Switch and PC (Steam) at some point this year. We're going to keep a very close eye on this one.